Just before she left Berlin, my friend Christine made a list of things for me to see in Krakow and the Old Salt Mine was at the top of it. She grew up in Poland and knew all the best places to go. 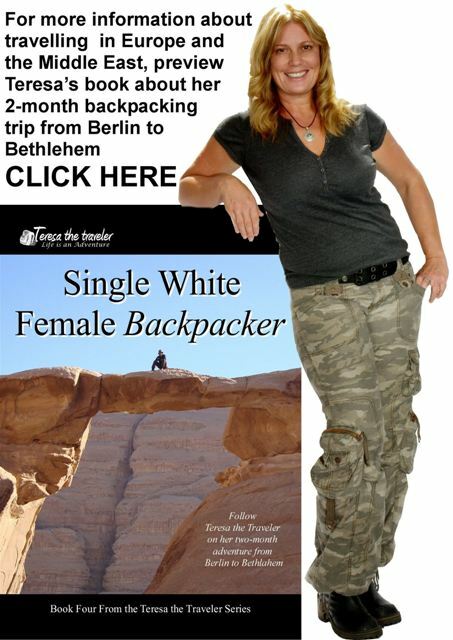 I took her advice and booked an evening tour of the mine when I got back from the Auschwitz tour. I needed to end my heavy day on a lighter note. The mini bus picked me up at my hotel and drove our small group to the mine which is located a few miles out of town. We waited in a lobby for a short time before getting asked to follow an English speaking tour guide. Our guide was very entertaining making us forget about all the steps by regaining us with tales of the salt miners who once worked in the mine. 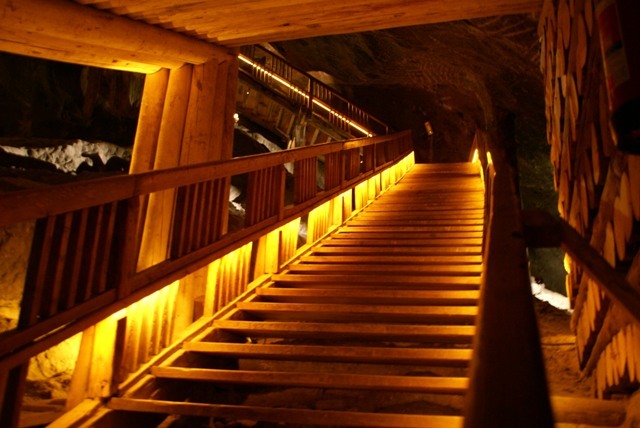 We walked down 378 steps until we reached a depth of 64 meters underground - that’s a lot of steps. I wondered if the miners had to descend all of those steps to get to work each day. Thankfully I made it to the bottom without tripping and taking out everyone in front of me. 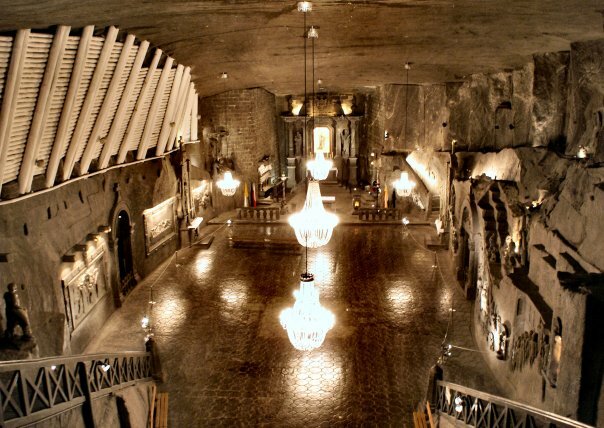 The Wieliczka Salt Mine aka the Old Salt Mine is one of the oldest operating salt mines in the world. 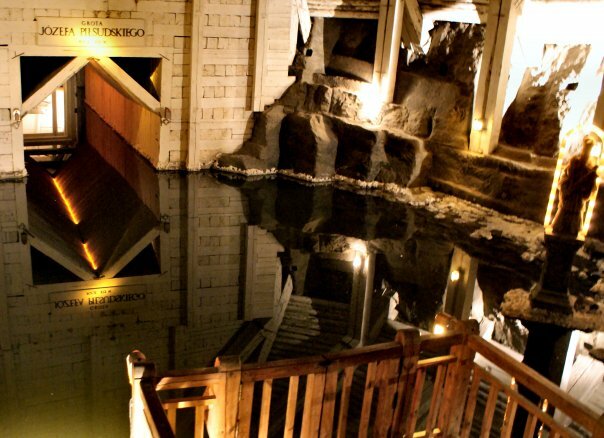 It had been producing table salt since the 13th century but operations were shut down in 1996 due to flooding and low salt prices, however, it remains open as one of Krakow’s main tourist attractions. Visitors from all over the world come to see the magnificent sculptures and churches carved from the rock salt by both miners and contemporary artists. The original excavations including traverses, chambers, lakes, as well as minor and major shafts are located on nine levels and extend for a total of about 300 kilometres: reaching a depth of 327 meters. At one time salt formed the economic foundation of Poland and, in accordance to the law, was the property of the ruler. In fact, during the old Kingdom it was even used as legal tender replacing metal coins. Salt was important for survival because it was used to preserve meat, butter and fish, as well as tan hides and produce gunpowder. The golden “salt” age of the mine was between the 16th and 17th century when the company employed around 2,000 miners producing over 30,000 tons of salt. I had no idea salt came from a mine. I figured it came from either the ocean or the supermarket. Who knew it came from the Earth? Hey - maybe that’s where the term “Salt of the Earth” came from. Along the way we stopped at a number of tiny salt chapels carved into the rock by the miners. I wondered what possessed them to carve chapels. Perhaps when you work in a dangerous underground mine you feel the need to pray a lot. We stopped before entering the largest and most extravagant of the chapels and were informed that if we wanted to take pictures we had to buy a camera pass. 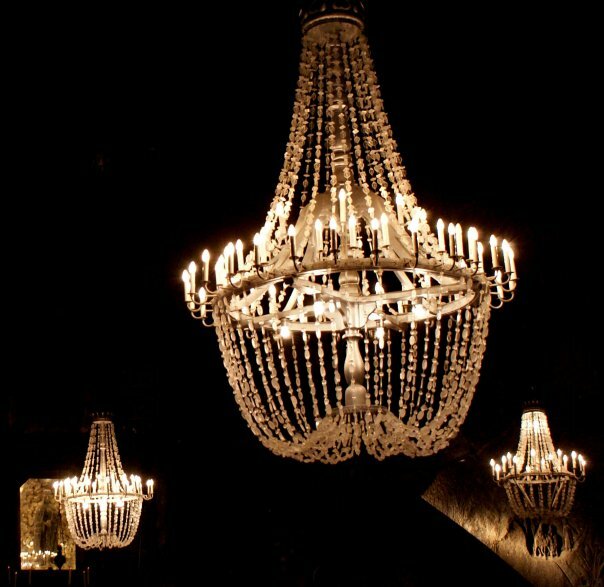 I found that a bit odd but went ahead and bought one because I didn’t want to get charged with taking illegal pictures and end up in a Polish prison. The Saint Kinga’s Chapel was carved from a block of salt and has been a place of worship since 1896. Among the works carved by both miner-sculptors and professionals are biblical scenes such as The Last Supper, Jesus preaching at the temple and even a salt statue of Pope John Paul II to commemorate his visit. 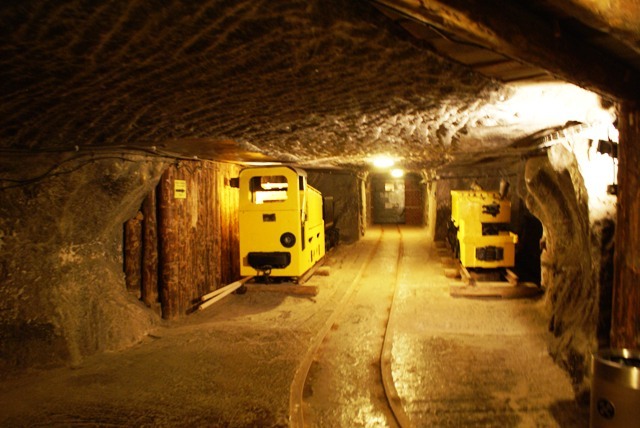 Bill Clinton also visited the mine during his stay in Poland but they did not carve a statue of him, but who knows…maybe one day there will be a salty Bill in the old mine. We visited a small 9 meter deep underground salt lake where we watched a short light show before visiting a few more chambers and an art gallery. Our tour ended at 135 meters underground where we waited for the elevators to bring us to the surface. What a relief because I was way too tired from a long day to climb that insane staircase back to the surface.